Nestled within the Polkadraai Hills of the world-renowned Stellenbosch wine region, BEAU JOUBERT’s viticultural history dates back to 1695 when the governor of the Cape, Simon van der Stel, allocated this remarkable land, titled as Veelverjaagt, to Coenraed Visser. A century later in 1795, this unique terroir would inspire a French family to continue the winemaking tradition in South Africa. This winery’s founder was a French Huguenot descendant, Dirk Daniel Joubert. He in turn divided the farm between his two sons; one retained the Veelverjaagt name while the other named his portion La Provence, to honor the birthplace of his forefathers. A new era began with the turn of the millennium when a group of families from Wisconsin, U.S.A., fell in love with the grandeur of the Cape on their first visit to South Africa. 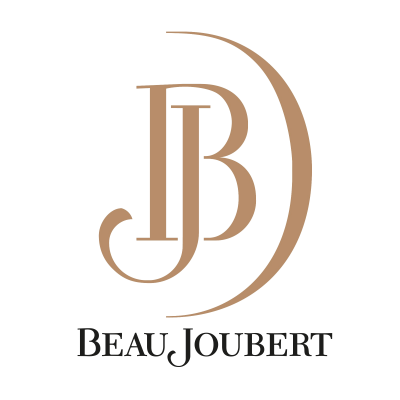 BEAU JOUBERT has taken the name from the French word Beau, describing the beautiful winelands, as well as the family name of the Joubert’s that brought the Old World winemaking tradition to these lands. 2016 brings yet new era upon BEAU JOUBERT. Co-Owner and MD, Andrew Hilliard has taken over as full ownership of the brand and joining him in this new venture, Global Sales & Partner, Robert Carter and Wine Maker & Partner, Christian Kuun. These amazing wines and grapes will now be sourced from nearby farms and partners with the sales focus on the International Markets. BEAU JOUBERT and OAK LANE wines have been opened up to the world and this new dynamic team is excited about the great heights this well established brand can reach.